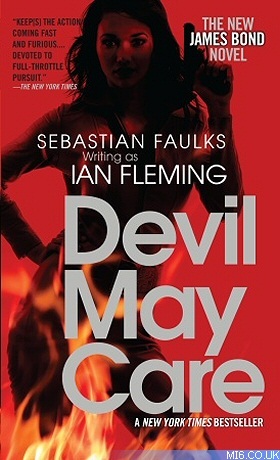 Devil May Care is written by best selling author Sebastian Faulks and is set in the Cold War. It will be published by Penguin on 28th May 2008 to mark the centenary of Ian Fleming’s birth. 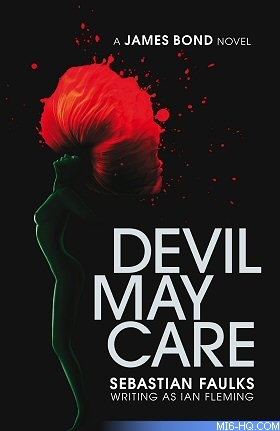 Devil May Care by Sebastian Faulks will be published in hardback by Penguin Books in the UK and its territories (Ireland, Australia, New Zealand, South Africa, India and Europe), and in the US it will be published by Doubleday. Many of the publishers will be using this jacket. Bond is back with a license to thrill. Forty-three years ago, Ian Fleming wrote his last great 007 adventure. Now, in Devil May Care, the world’s most iconic spy returns in a Cold War story spanning the world’s exotic locations. By invitation of the Fleming estate to mark the centenary of his birth, acclaimed novelist Sebastian Faulks picks up where Fleming left off, writing a tour de force that will electrify every James Bond fan. 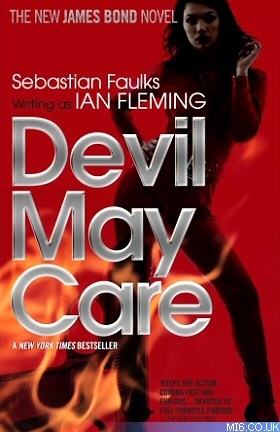 A fitting tribute to the Bond tradition, Devil May Care stands on its own as a triumph of witty prose and plenty of double-0 action. "Devil May Care" was released simultaneously in the UK and USA on 28th May 2008. Click here for complete coverage of the launch event. Paperback editions will be released on May 28th 2009. Penguin will publish in the UK (cover art opposite) for £7.99. The US will have two paperback editions by Vintage (a subsidiary of Random House): a trade paperback on 12th May for $14.95, and a mass market paperback on 19th May for $7.99. The trade paperback will also be released in Canada on the same day as the US. The art for both editions was unveiled in late November. An Algerian drug runner is savagely executed in the desolate outskirts of Paris. This seemingly isolated event leads to the recall of Agent 007 from his sabbatical in Rome and his return to the world of intrigue and danger where he is most at home. The head of MI6, M, assigns him to shadow the mysterious Dr. Julius Gorner, a power-crazed pharmaceutical magnate, whose wealth is exceeded only by his greed. Gorner has lately taken a disquieting interest in opiate derivatives, both legal and illegal, and this urgently bears looking into. Bond finds a willing accomplice in the shape of a glamorous Parisian named Scarlett Papava. He will need her help in a life-and-death struggle with his most dangerous adversary yet, as a chain of events threatens to lead to global catastrophe. A British airliner goes missing over Iraq. The thunder of a coming war echoes in the Middle East. And a tide of lethal narcotics threatens to engulf a Great Britain in the throes of the social upheavals of the late sixties. Picking up where Ian Fleming left off, Sebastian Faulks takes Bond back to the height of the Cold War–but also shows Bond facing dangers with a powerful relevance to our own times. 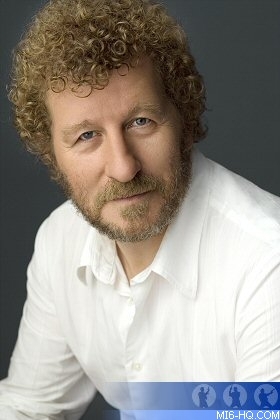 Sebastian Faulks worked as a journalist before taking up writing full time in 1991. He is the author of ten books including Charlotte Gray and Birdsong, for which he was voted author of the year by the British Book Awards. Faulks has published eight books in the United States, including the recently released Engleby. He lives in London.